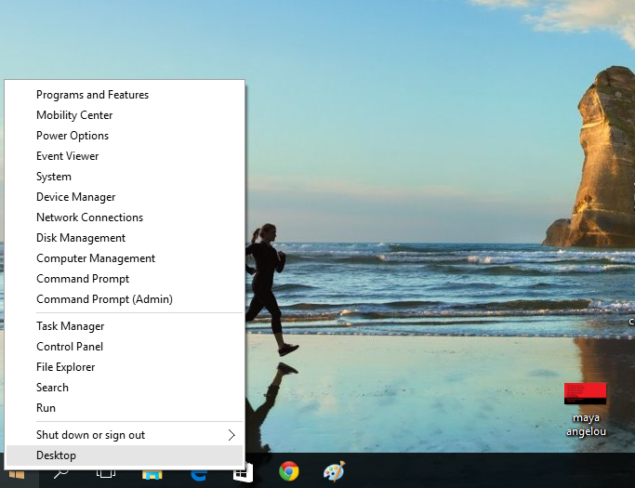 Microsoft brought back Start menu in Windows 10 thanks to a lot (literally, a lot!) of consumer pressure and the tremendous amount of hatred that Windows 8 attracted. However, along with the Windows 10 Start menu that now looks like a lovechild of Windows 8.1 and Windows 7, there is another Start menu, a secret one. Want to know what this is all about? Get ready as you might fall in love with what’s coming next. You won’t have to type in the search bar or go inside several menus to have access to the above and several other features as you can see in the image below. To have access to this Start menu, all you need to do is right-click on the Start menu Windows icon. That’s it. Alternatively, you can go for the Windows Key + X short keys. On a Windows 10 powered touch-screen device, simply tap the Start menu icon and hold it for a second, release it to get the hidden Windows Start menu. Are you loving having all these several options at your fingertips? Note: This hidden Start menu is also accessible on Windows 8 and Windows 8.1 with the same hotkey. Yes, you have kind-of a Start menu on those Windows versions too.